You can never have too many dice. Really, I've got pounds and pounds of them and I'm still always looking out for more. Of course dice help you play games, but in Dice Masters, the dice are the game. WizKids has announced a new set for the Dungeons & Dragons-themed portion of Dice Masters with Faerun Under Siege. As usual with these sets, there will be multiple ways that you can get your Dice Masters fix. 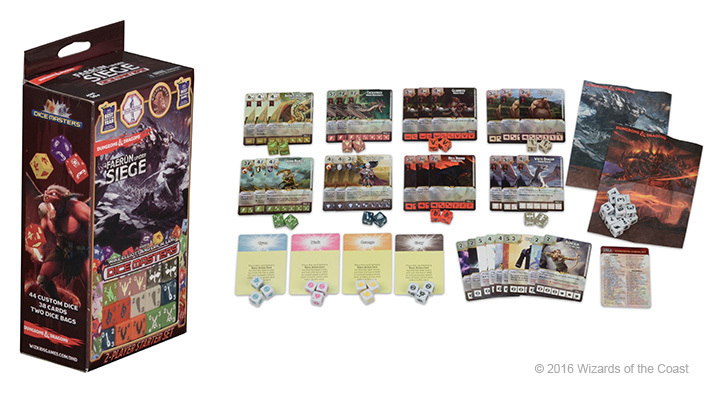 There will be new starter sets, foil packs, as well as a playmat, and a collector's set (complete with carrying case). Expect the set to hit shelves in February.